Recently I was clumsy enough to wreck the audio output on my macbook, it's completely broken. But fear not, I had a griffin iMic lying around, so I've started to use that as the system audio output. However, Logic 8 appears to ignore the this system setting instead requiring the user to select the Core audio device in its own preferences. This is becoming an issue because the griffin iMic also has an audio input which I do not wish to use. Logic automatically selects the input from the iMic which is awful because of its high susceptibility to interference and noise. My question is, how can I map the audio output from Logic to go through the iMic, whilst still using the built in input? Shame you can't get a white one though. 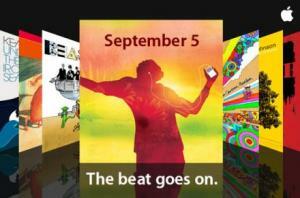 For those who haven't heard, apple's next special event is tomorrow on September 5th. As usual, an AIM (iChat) chatroom will be open for live discussion of the announcements. To access the room in iChat, click File- Go To Chat, and then enter 'themaccast' in the text field. use (or dont use, your choice) paradox vista crack to "activate" vista, which may or may not be found on certain torrent sites. Actually, in an earlier post, I explained that disk utility showed that mycurrent drive is SATA2, not SATA. So I should really stick to the SATA2 drive. One thing I must ask, the SATA2 drive on Amazon is only 5200 rpm, whereas my current drive 5400, would this create a noticeable difference in performance? Also, I notice that this drive has no manufacturer attributed to it, Amazon merely lists it as "generic" should I stay away from this and look for more well known brand like Hitachi, Fujitsu, or Toshiba? Research on Amazon and Play.com has revealed many possibilities in regards to 2.5" Notebook drives. I presume I would need to purchase an enclosure, which are also available on Amazon. This one, which I prefer, from play.com.. However, I notice that this drive does not claim to be SATA2. In system profiler, I have learnt the drive that shipped with my MacBook is SATA2, is this significant? Will a regular SATA drive still work? I've seen macbook drives for sale in the US, if I could purchase one of those in the UK, would I be able to just duplicate my installation with all my data, then somehow claim it back from the external drive once I have the new disc in? How would the transfer work? Are they totally ignorant of customers needs? Do they not realize that even amongst a user base of, say 500,000 people, around 75,000 of those people will be using OSX, and will not have constant access to a Windows PC? P.S: Im still in the market for a Hard Disk upgrade so if you know of any places I could get one I would much appreciate it, thanks. Hey, it has recently come to my attention that my bank's online banking facility, for absolutely no apparent reason, requires a Windows PC running Internet Explorer to gain access. So it appears the time has come to install Windows on my MacBook. However, my minute 60GB drive is barely large enough hold my home folder, let alone budging up to fit in another operating system. I was wondering if any of you lot know of a computer hardware supplier in the UK that sells MacBook internal hard drives. I will pay whatever it costs, although going by US prices, I am anticipating a price of around £150 - £250. Yeah, disk utility works for a few image formats, but there are quite a few that it doesn't support. Really the main purpose of apps like that on the PC are for mounting a creating images, and Finder and Disk Utility support this anyway. Just to let you know, my mum bought a core2 macbook, and you guessed it, it whines. So does it's replacement, this is becoming increasingly ridiculous. This brings the grand total up to six, two macbook core duos, two mac book pros, and two macbook core2s. This whole thing is making me seriously consider switching. How Vista Didn't Copy OSX?!? That is certainly a joke, but it is unnerving to think how many microsoft fanboys will use these arguments against OSX.